The Pound Sterling to New Zealand Dollar (GBP/NZD) exchange rate remained under pressure on Tuesday as UK mortgage approvals fell to a near-six-year low. This decline caught markets off guard, given forecasts of a modest uptick, and reignited worries over the health of the UK housing market. Reports that opposition to Theresa May’s already rejected Brexit deal is softening helped to limit the downside impact on GBP exchange rates, however. While the UK economy continues to experience the impact of Brexit-based uncertainty a tentative sense of optimism helped to support Pound Sterling (GBP). As the odds of a no-deal Brexit appeared to ease this helped the GBP/NZD exchange rate to recover some of its earlier lost ground over the course of the day. 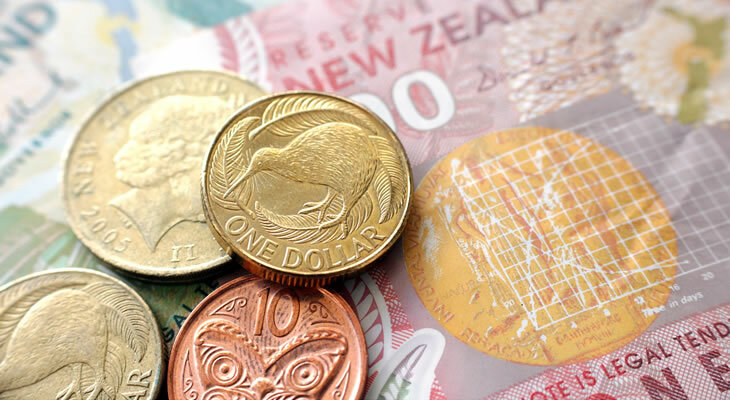 Demand for the New Zealand Dollar (NZD) picked up overnight, meanwhile, as February’s trade data bettered forecasts. A sharp acceleration in export volumes helped to return the trade balance to a state of surplus, with imports also falling on the month. However, the modest surplus of just 12 million was not enough to balance out the previous month’s significant deficit of -948 million. As worries over the recent slowdown in global trade show no signs of easing, with the US-China trade dispute set to rumble on, confidence in the outlook of the New Zealand economy remains muted. With the market appetite for risk-sensitive assets diminishing once again this left NZD exchange rates on a weaker footing, even in the face of the latest underwhelming US data. The GBP/NZD exchange rate could find a stronger rallying point if the Reserve Bank of New Zealand (RBNZ) adopts a dovish tone at its March policy meeting. While no change in monetary policy is forecast at this stage the New Zealand Dollar looks vulnerable to any increased signs of dovishness among policymakers. If the odds of a 2019 interest rate cut appear to increase this could see NZD exchange rates slump sharply across the board. On the other hand, the mood towards the New Zealand Dollar could improve on signs that the RBNZ is maintaining a neutral stance. “Our economists also expect the RBNZ to repeat the key messages from the February MPS that the OCR will remain unchanged through 2019 and 2020 and that the next (move) could be ‘up or down’. A more cautiously optimistic message from the RBNZ could see the GBP/NZD exchange rate shed further ground heading into Wednesday.